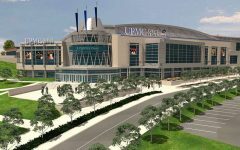 LOUISVILLE — The Robert Morris Colonials come into their sixth-ever NCAA tournament appearance with the 12th ranked scoring defense in the nation. 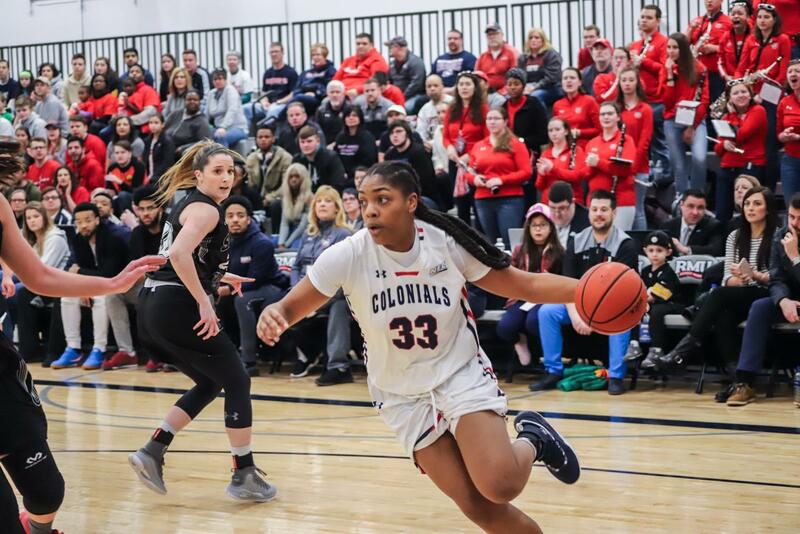 The Colonials have stifled their opponents to just 54.6 points game including only allowing one conference opponent to surpass the 60-point mark. They head into the battle against the Louisville Cardinals, a top-seeded team with some impressive talent on their roster. During Thursday’s media availabilty, Louisville seniors Asia Durr, Sam Fuehring and Arica Carter gave their take on the defense they’ll be faced with Friday. What all the players recognized with this Colonials defense is the level of intensity preached by RMU coach Charlie Buscaglia. “From watching the film it looks like they play very hard, which is exciting. That’s what you want to play against,” said Carter. 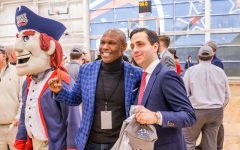 While not naming any team specifically, Carter also mentioned that RMU’s style of play is similar to other teams they have faced this season. “I think it’s multiple teams that we’ve played this year that are similar to Robert Morris, that play hard, play scrappy, and rotate and make you have to get off the ball quick,” said Carter. This Colonials defense will be facing their toughest test of the season on Friday in the opening round of the NCAA tournament. The most notable will be having to slow down two-time ACC player of the year Asia Durr. Durr averages 21.3 PPG on the year and is projected to be a top-5 WNBA draft pick. 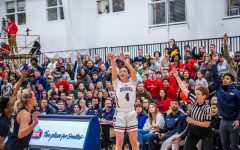 While the Colonials have gone against notable scorers like Jessica Kovatch of Saint Francis and Megan Gustafson of Iowa, Durr certainly proves to be the biggest challenge of the season in one of the biggest stages.